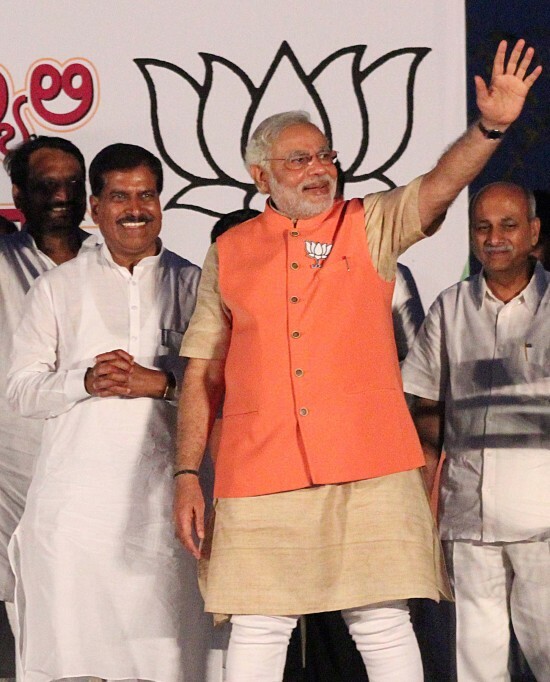 Prime minister Narendra Modi’s visit to Belagavi city for the farmers congregation is an event organised by the BJP and not the Government. Earlier it was being said that the event has been planned by the Central Govt. But DC N Jayram said that the PM’s program is an unofficial program,which means it has not being organised by the Govt but by the party. Modi will arrive at Sambra by a special flight and then to venue Angadi college by a helicopter. Prime Minister is expected to brief about the benefits of Fasal Bima Yojna and soil health card to farmers on the occasion. The BJP is expecting nothing less than 1 lakh participants for the event on February 27 at 3 PM. Please just don’t bark on any party or person without studying the ground reality. Names of almost all the programmes have urdu/sanskrit names. Rest of the 70% citizens don’t matter for these politicians from north. Really sorry for the Poor Farmers who are always betrayed by the Political Parties, who use them as STEPS for getting their Chair. Think the BJP is Preparing for 2019 Elections right from now. DELHI & BIHAR have shattered the dreams of BJP in such a way that even in Night the party member are forced to dream & prepare of 2019 Elections. When it is for the good of the farmers, why are you worried? to make a news our of it.